WiFi signals are tough to understand. I am walking around in my house and the signal is full. I take a few steps towards the front door and suddenly, there is no signal and I am like what? Within a few days, you learn to identify the areas in your home/office where WiFi signal is the strongest and where it is non-existent. While all this is counter-productive, there are WiFi analyzer software available for Windows that will help you place your router in the right spot. Every WiFi router claims to have a certain range which gives you a fair idea of what to expect. Unfortunately, this range is a hit or miss and you won’t get the same signal strength in different directions. Why is this? The signal strength of your router depends on its range and performance, and certain outside factors like interference and obstacles like walls. Even before you install your router, you must find a suitable place to install it. 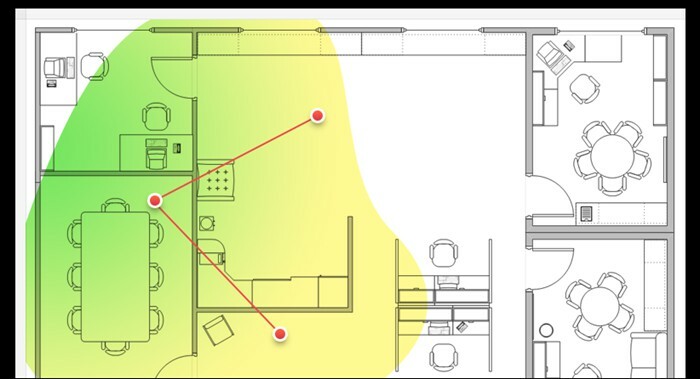 This is why you need a WiFi analyzer so you know where signal strength is the strongest, use heat maps to identify weak areas, and find out which channels the signal is operating on. 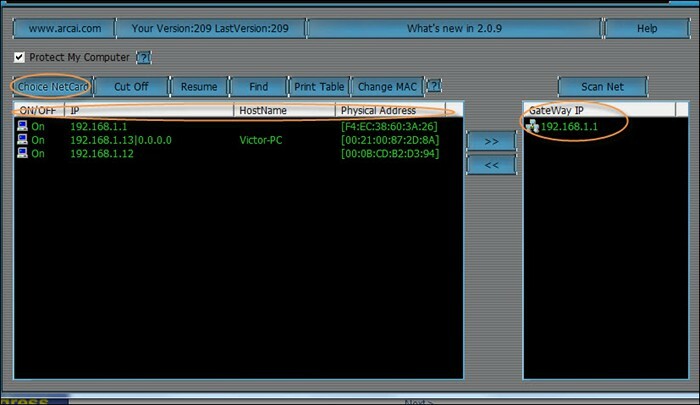 Whether you are using Windows 7, 8 or 10, this article will help you use the best analyzer to find the most optimum position to install the router. WiFi Analyzer is available on the Microsoft store, a nifty little app that was built for Windows 10 platform. You can search for suitable channels and identify, using heat maps, the best possible point for installing your router. The screen kept turning off though. Yours is not the only network in the vicinity. It will identify the remaining ones that are interfering with yours. Each channel is given a star rating so you can easily choose the best. WiFi Analyzer turned my Windows laptop into an analyzer allowing me to scan my house for access points. Pretty neat. The app is free to use and download but some additional features have been reserved for the premium version. Pro version will keep the screen always on and add a beeper sound to notify you when an access point is found. There are filter and tile support. Verdict: WiFi Analyzer for Windows 10 is a good app if you have the right OS. The free version is good enough but if you need more details, consider in-app purchases. Netcut is a solid network debugging and investigating tool that was originally built to be a backend solution. It not only works in Windows but also iOS and Android. Unlike WiFi Analyzer above which can be used by beginners and pros alike, Netcut is more suitable for professionals and office use. Scan and analyze all the IP addresses on your network. Advanced features include ARP protocol using which you can manage user bandwidth and stop network abuse. The best thing about Netcut is that it let you kick people off your WiFi network without requiring any access to your router. Sometimes, nearby networks can interfere as we previously discussed. Netcut can help prevent this interference and boost the connectivity range and performance of your router. Verdict: Netcut is available for Windows 7/8/10. Netcut is an advanced WiFi analyzer tool that can be a little difficult to understand at first but once you master it, you will find it very useful. 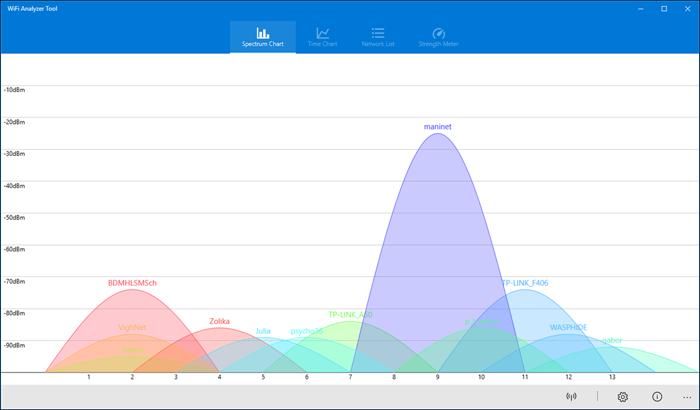 Most WiFi Analyzers for Windows have little to offer in terms of UI and aesthetics. 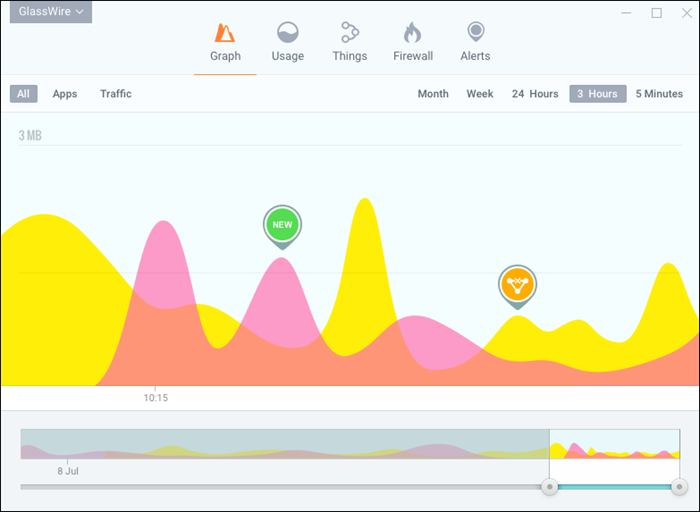 NetSpot is a WiFi analyzer that has a good looking interactive UI that is fun to use. It comes with two different modes: Survey and Discover. 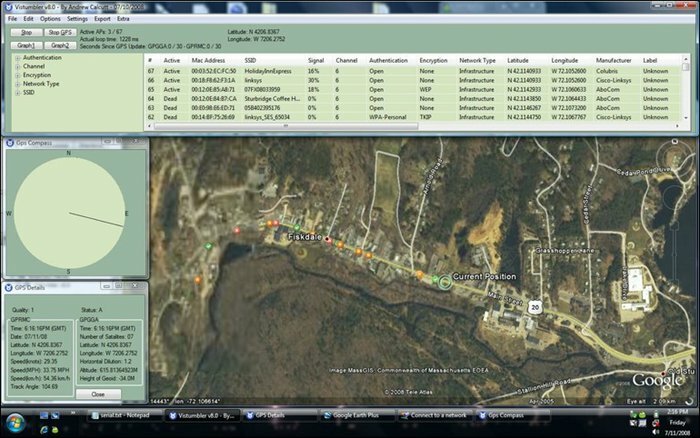 The Survey tool is for creating heat maps that you can then use to identify networks and points in your area. Discover tool, on the other hand, takes snapshots of WiFi networks in the vicinity. Together, they will help you choose the best spot, fight signal interference, and increase signal strength. NetSpot is a premium tool that will cost you $49 for the home edition. This is for 2 users and cannot be used commercially. It will offer only 2 snapshots of two different zones with a max of 50 data points per zone. Verdict: NetSpot is a powerful software that is suitable for both beginners and professionals but slightly expensive for home users. Professionals and companies can afford to pay a one-time premium. 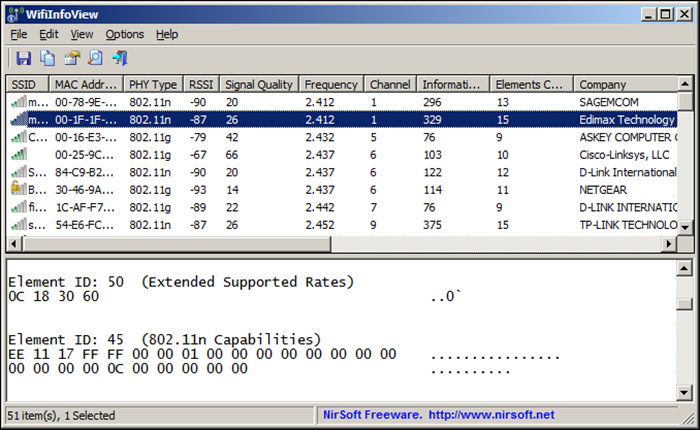 Another WiFi Analyzer Tool from Microsoft store but this time, it is available for Windows 7 and 8 users too. It will scan for all the WiFi networks around you with a handy spectrum chart that helped me identify networks that were overlapping with each other. This way, you can easily find the best available channel to connect your router to. An easy to use tool for home users who don’t want fancy features but a simple tool to get the job done. Singal levels tend to move up and down which is why WiFi Analyzer Tool will also show historical data. Both 2.4 and 5 GHz bands are supported. You can save charts as images however that is not a big deal. You can take screenshots anyways. It comes with two themes, light and dark, and a beeper for signal strength. At the time of writing this article, the app was available for free, however, usually, you can buy it for just $4.95 which isn’t much. 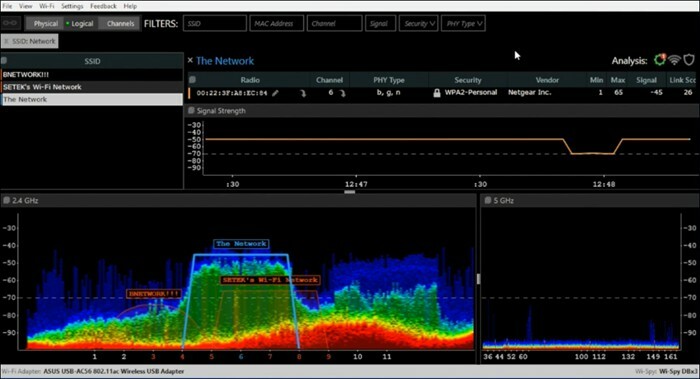 inSSIDer is another advanced WiFi analyzer tool that was built for professionals more than home users. They have three plans available to choose from. At $149, inSSIDer Office is the most affordable plan but doesn’t support 2.4 GHz channel and spectrum leaving much to be desired. Meant for offices with big networks, inSSIDer’s strength lies in its ability to handle large networks, accuracy, and reliability. It can monitor channel saturation and identify the sources of interference. inSSIDer will track and record WiFi signal strength over the period of time so you can compare which ones are working the best. The data is recorded in dBm. I like the ability to perform spot routine checks to make sure I was connected to the most optimal channel. Verdict: inSSIDer is an expensive tool that was built for office use more than homes. It is a powerful tool and well worth the money if you have enough number of PCs in the network. Whereas inSSIDer is an advanced tool that will help you make more informed decisions in the office, not everyone is looking for something so complex. Some, like me, want a point and click solution that will quickly tell me just what I need to know. 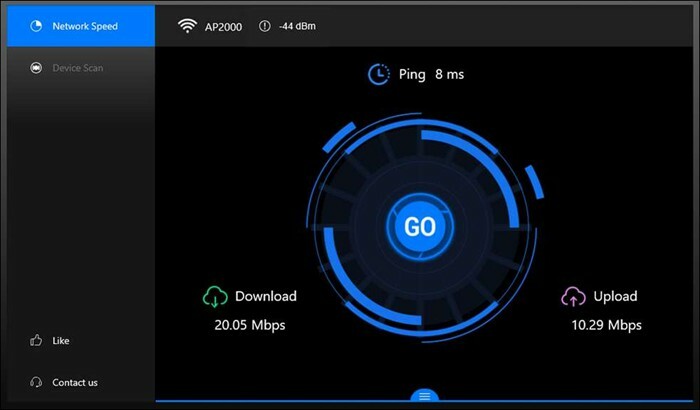 SpeedTest Master will quickly analyze network speed, latency, and download/upload speeds. It will then analyze the nearby networks. Most WiFi analyzers don’t allow users to switch networks but SpeedTest Master does. You can switch even if you are using cable network. The whole process is quick and easy and won’t take more than a few moments. All the tests that you have performed will be saved just like in previous Windows WiFi analyzer tools. Verdict: SpeedTest Master’s strength lies in its simplicity. A one-click solution that will quickly provide results and tell you what to do. The app is completely ad-free as all previous Microsoft WiFi analyzers were. Apart from the usual WiFi analyzer for Windows features that we have seen so far in the above-mentioned apps, Vistumber also has support for live Google Earth and GPS. When you run the app for the first time, it will collect data like available network, signal strength, location, and encryption and plot everything on a map. Vistumber is more suitable if you are constantly moving in a car and have a Windows laptop. This app will help you find suitable networks. 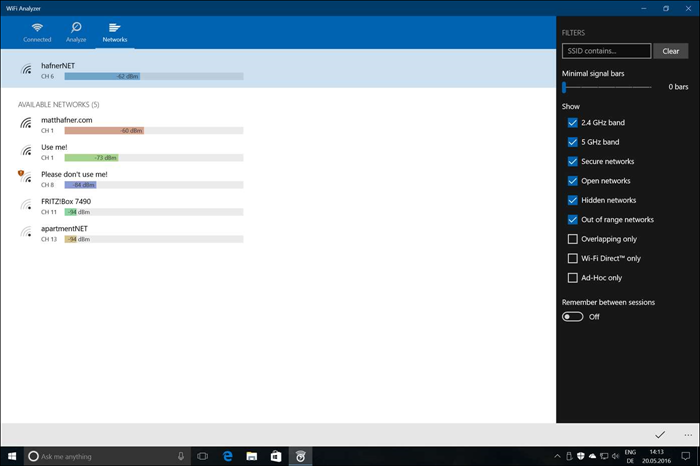 Vistumber is completely free to download and use. Verdict: Vistumber is free and useful if you are traveling. The app is useful but comes with a dated UI that will fail to impress anyone. 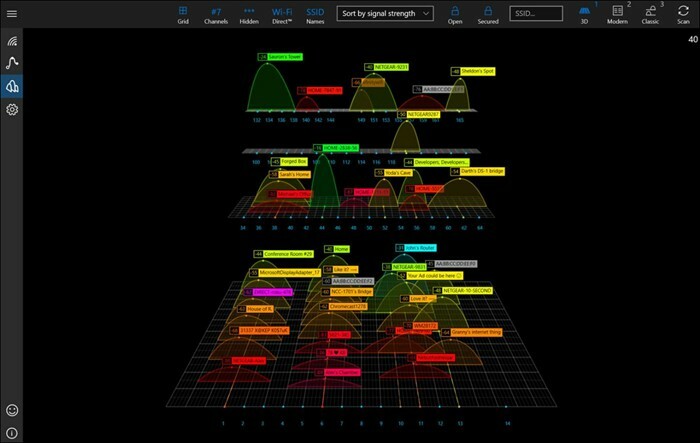 WiFi commander has a beautiful UI with 3D graphing capabilities that makes the whole WiFi and network analyzing process fun and engaging. If you have a touch-screen laptop, you can interact with the 3D visual representation of the channel distribution. WiFi Commander was built with Windows 10 in mind and hence is not available for Windows 7 or 8. Most WiFi analyzers will check signal strength and display it but this app will show it in real time. This will help you join the best network based on the most accurate and recent data. The app is ad-free and lightweight. At the time of writing this article, it was available for $4.99. Verdict: WiFi Commander is rich in visual representation and real-time gathering and presentation of data which makes it both fun and useful. Nirsoft is our favorite site that is known for making useful software and apps and making them available to the netizens for free. WiFiInfoView shows a lot of info about the networks in the surrounding area including, but not limited to, SSID, PHY type, speed, company name, and more. There is a handy summary mode available which is sort and display all the useful data neatly. You can sort this data by channel number, company name etc. Verdict: WiFiInfoView offers a functional UI which will help you take quick decisions. It shows a lot of data which can be easily filtered and sorted. GlassWire brings more to the table and in a beautiful layout. 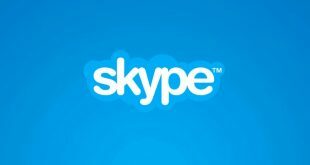 Apart from the usual networking tools like finding channels and optimizing networks to connect to, GlassWire will also show you who your Windows PC is talking to. The data that is being transmitted and the apps that are behind it. There is a firewall in case you want to block an IP or an app for security reasons. GlassWire is free to use however there are upgrades available too. 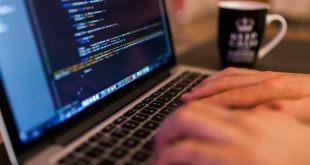 Starting at $39, you get additional features like lockdown mode, 6-month history of logs and data, but sadly, license for only a single computer. If you want more, there are other plans. Verdict: GlassWire packs a lot of features in a beautiful UI that will help you make smart decisions. 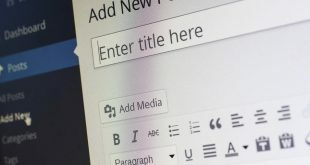 The free version should be enough for most users. All of the tools mentioned in this list work. The only difference lies in their ability to solve problems on different levels, and they are compatible with different versions of Windows. Depending on whether you need a WiFi analyzer for your home or office, you can use one of the above apps.